Did you ever own a 10-cent fairy tale or read children's stories in the local newspaper? On Oct. 27 at 4 p.m., Susan Fisher will take us through a visual history of Brunswick Press and The Daily Gleaner to show us how they engaged the child reader in New Brunswick at a time when books in the home were far less common than they are today. Junior Gleaners and BeaverBooks: The Colourful Children’s Books of Fredericton’s Brunswick Press in the 1950s and 60s will showcase books from the time and discuss the history of Fredericton’s innovative Brunswick Press. 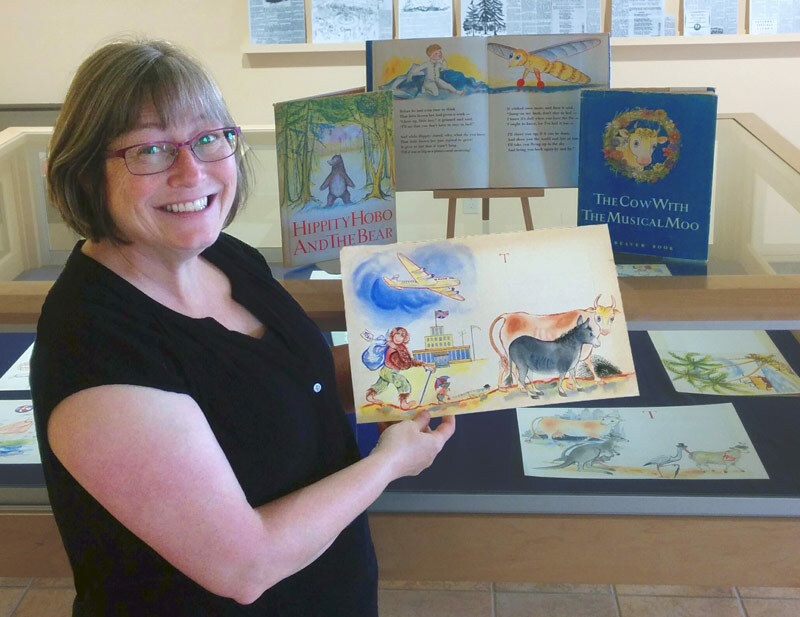 Ms. Fisher, curator of the Eileen Wallace Children's Literature Collection at the Harriet Irving Library at the University of New Brunswick’s Fredericton campus, has been researching Atlantic Canadian books for children for many years. The lecture will take place in the Milham Room of the library with a reception to follow. A book and archival exhibit of Brunswick Press materials is open to the public beginning Oct. 24 in the Stewart Room of the Harriet Irving Library. The exhibition will showcase the more than 70 children’s books published by Brunswick Press, alongside newspaper clippings and archival material from the 1950s. For more information on the Milham Lecture, please contact Susan Oliver. The Eileen Wallace Children’s Literature Collection is the largest research collection of its kind in Atlantic Canada. Endowed by librarian and long-time educator, Eileen Wallace, this non-circulating collection comprises over 12,000 monographs and 5,000 microfiche titles. Supplemented by the UNB Libraries’ circulating collection in children’s literature and children’s literary criticism, the collection is the key resource for the study of children’s literature within the region. The Milham Lecture, established in 1987, is named in honour of Mary Ella Milham, a professor of classics and ancient history at UNB. In the same year, Dr. Milham created the Milham Trust Fund, with the objective of developing and coordinating the Harriet Irving Library’s holdings in the Book Arts, as well as making its collection of New Brunswickiana as comprehensive as possible.